Congratulations on looking for your first job! 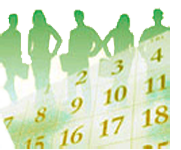 Job seekers looking for their first job must contend with a lack of experience. Internships are a great way to build some experience in the professional world. Some internships are paid, and often employers will extend a permanent offer to a high performing intern. If you have never worked before, building a resume can be difficult. It’s important to identify the skills you already have. Working with a career advisor would be a great place to start. 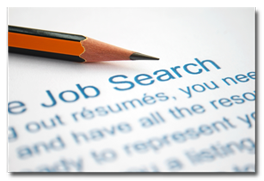 A new job seeker may not know what job they want, but they should have an understanding of what types of jobs they might be interested in; this will help narrow the scope of your job search. Many first time or part time job seekers don't believe they need a resume. Having a resume to give to a prospective employer shows you've put some effort into finding a job and it allows you to showcase things about yourself that you want the employer to remember. Even if you have no work experience, you can still give the employer an idea of what your strengths are. Make sure when you head out the door, that you are well groomed and well dressed. You don't necessarily need to be in a suit but you do need to be presentable. Use sites that focus on part time jobs for teens like MiTalent.org to find part time jobs in your area, but there are many other ways to find employers. You can pick up a local newspaper, go to the library to look at help wanted listings or walk through your city or town looking for ‘Help Wanted’ signs. Before you go apply anywhere, you need to prepare yourself for rejection. As a first time job seeker, you need to mentally prepare for someone to say, "No." Keep your head up, maintain eye contact, have a firm handshake and be confident. Employers look for certain qualities when a job seeker walks in the door. Foremost of those qualities is the candidate's ability to communicate. When speaking with a potential employer, demonstrate that you are eager to get the job. Employers look for candidates who have the ability to follow up because it shows a willingness to get involved and be responsible. Always make a follow up call or get in touch with the potential employer. Usually, it's best to wait about a week to make a call. Be prepared to provide references from teachers, coaches, clergy, parents whose children you babysat, people whose lawns you mowed, etc. Ask them in advance if they are willing to be a reference for you. Then, each time that you provide their name and contact information to a potential employer, inform the reference. Let them know which company may be contacting them and which position you applied for. Be sure to include in your profile an attached resume with your skills, honors, achievements, volunteer work, etc. Be flexible with duties, hours and pay. Everyone has to start somewhere and you might not get your ideal job the first time. Michigan Works! Agencies provide a statewide network of Service Centers where employers connect with job seekers. Ready for a career with less schooling? Get started now with Going PRO! 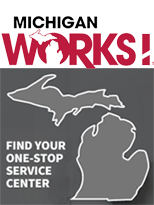 Find Career Events across Michigan connecting Talent with Employers.